This year we are launching Crem in the U.S., our latest addition to the Welbilt brand family, as well as showcasing some of Welbilt new products and upgrades. We will also run a range of seminars and training sessions on segments and kitchen connectivity, highlighting how data insights and analysis can help operators to take more informed business decisions. Visit us in booth #3200. See you there! Register to attend the show. 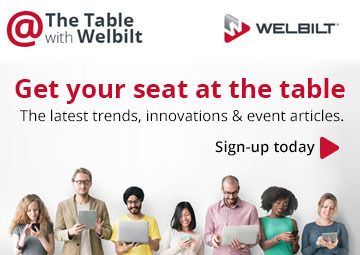 Join us during the NAFEM Show 2019 at booth #3200 in our Connectivity and Automation Pavilion and learn more about how Welbilt is designing equipment for the future of foodservice. Choose from unique daily presentations from our top connectivity and automation experts. Only 24 seats available for each session. Register today to confirm your attendance.